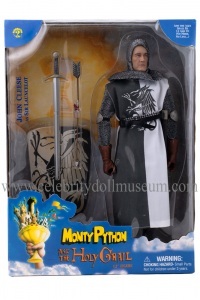 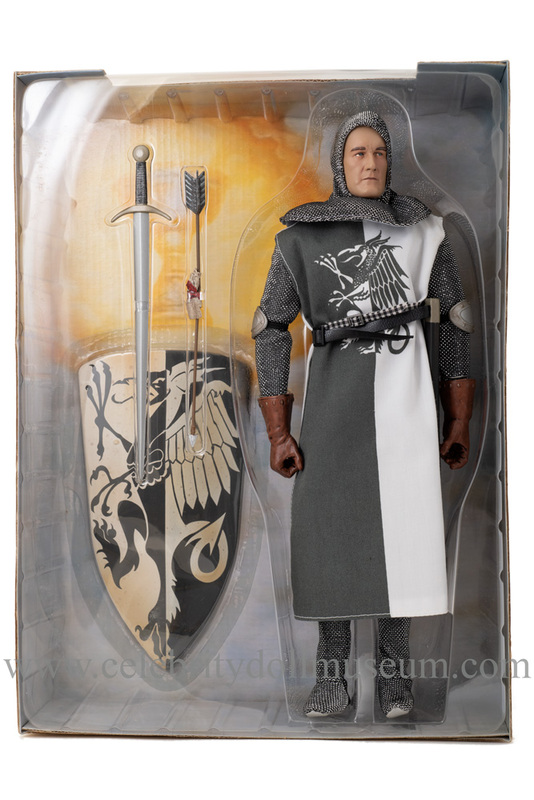 The John Cleese celebrity doll depicts him as Sir Launcelot the Brave from the 1975 British comedy film Monty Python and the Holy Grail. 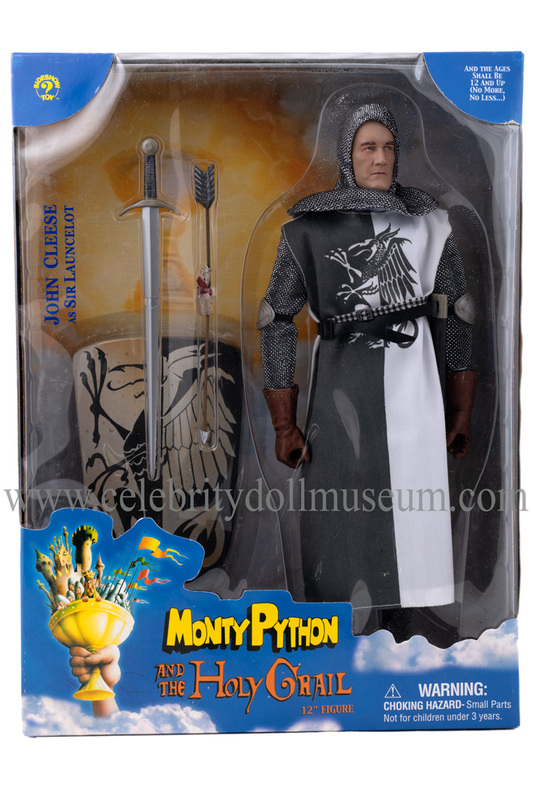 The 12 inch action figure was made in 2001 by SideShow Toy, Inc. John Cleese is an English actor, comedian, writer, and producer. 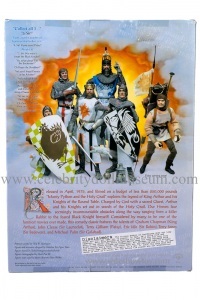 He is a co-founder of Monty Python. 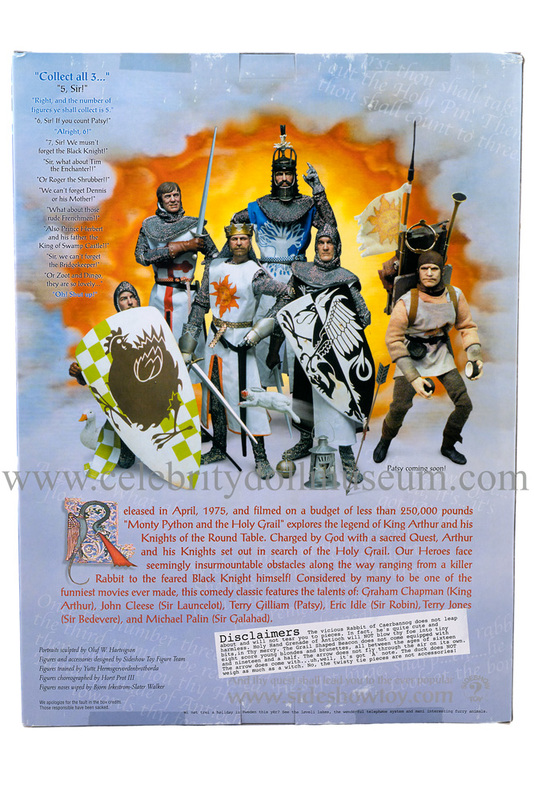 Sideshow Toy also made 12 inch celebrity dolls of Terry Gilliam as Patsy, John Cleese as Sir Launcelot the Brave, Michael Palin as Sir Galahad, Terry Jones as Sir Bedevere, Graham Chapman as King Arthur, and Eric Idle as Sir Robin. 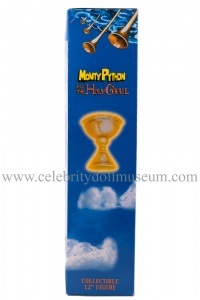 In 2002, Sideshow Toy released Muddy Versions of the main actors including some additional characters. 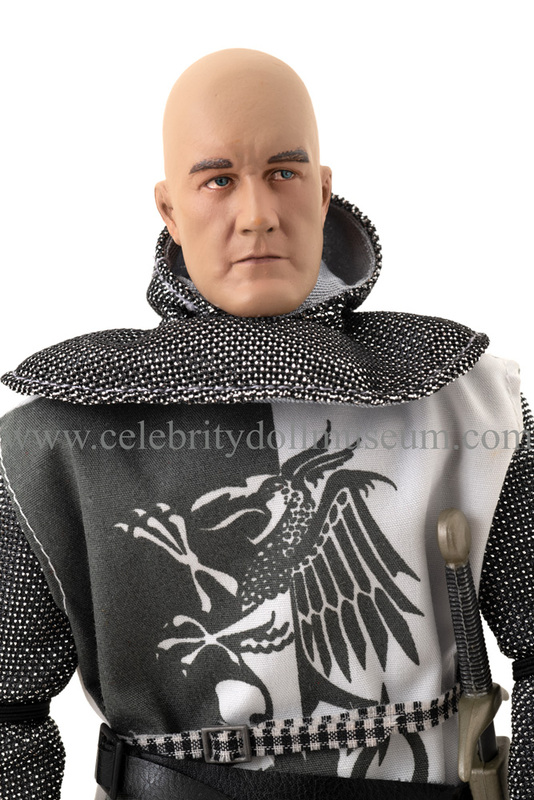 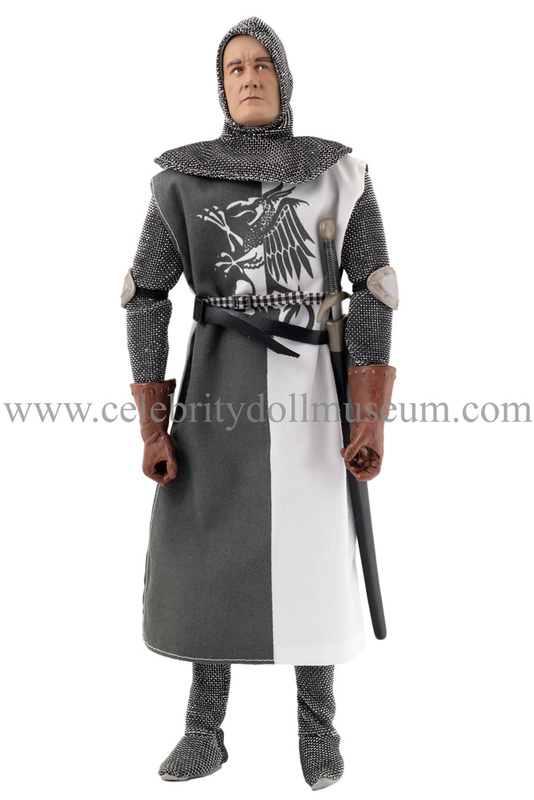 The John Cleese celebrity doll comes wearing a half dark gray and white sleeveless cotton frock with a dragon graphic on the front and slits up the sides. The frock is wasted with two belts. A black leatherette belt with plastic sword holder and a black plastic buckle and a black and white gingham plaid fabric belt with a silver plastic buckle. 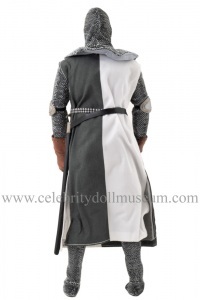 Underneath the frock are a silver and black knit gray lined pants with kids pajama like built in feet and gray vinyl soles and a matching silver hood with gray lining and matching gray shirt with silver and black sleeves. 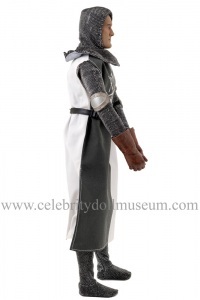 On the elbows are removable plastic silver and elastic elbow armor. The head is bald under the hood. The accessories include white shield with a matching half black and white dragon graphic, a sword, and a 1/6 scale plastic arrow with a note attached to it. 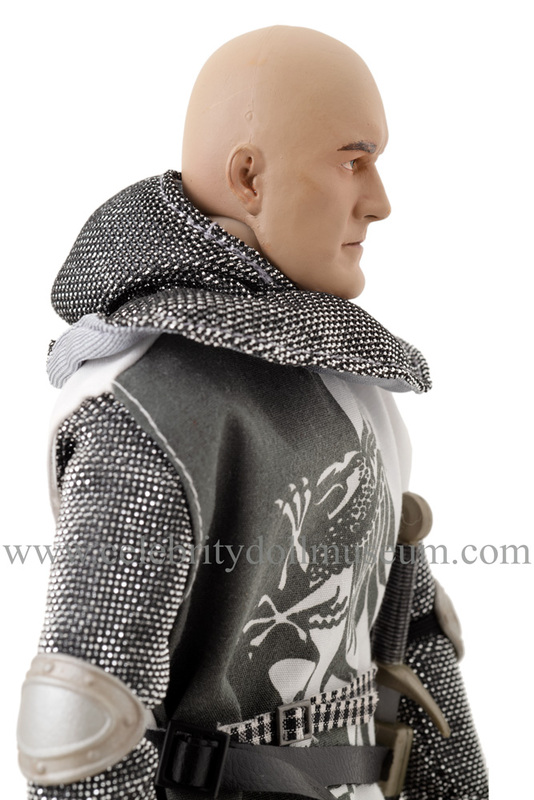 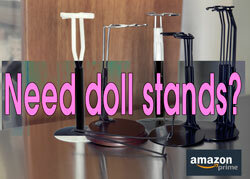 The SideShow action figures are designed to be displayed not for play. 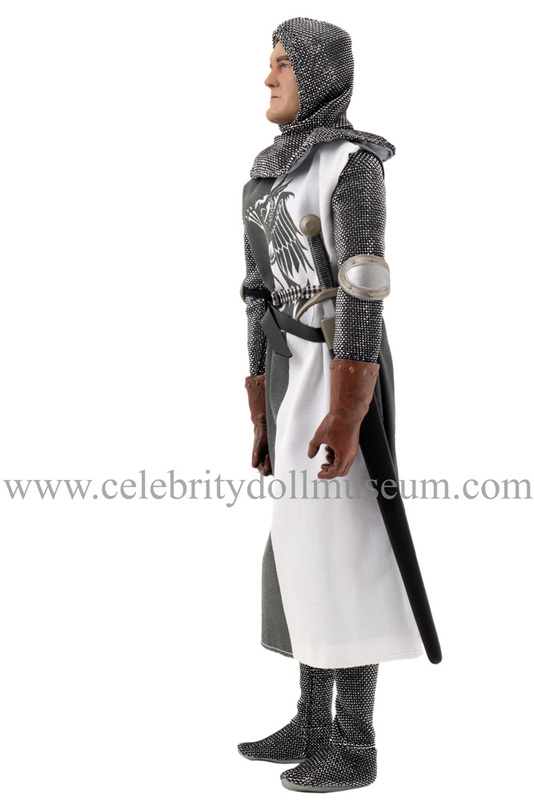 The age is restricted to 12 years and above. 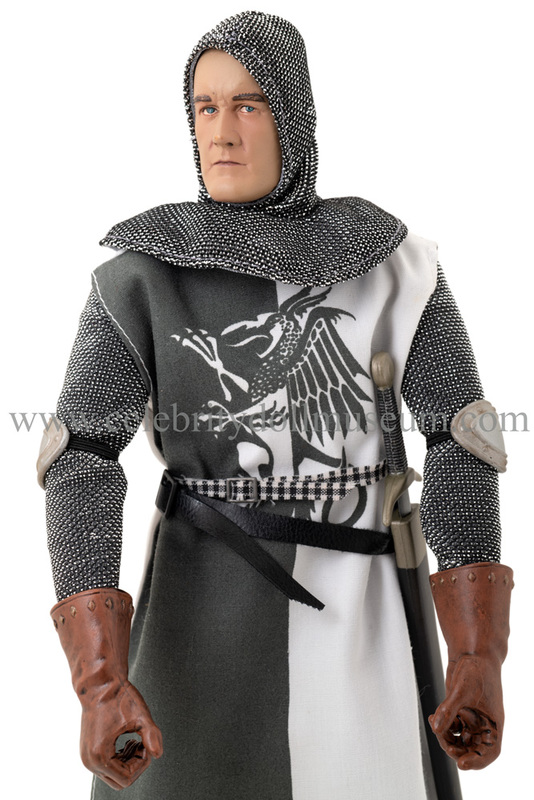 The belts and accessories are somewhat fragile and the clothing while technically removable by force can be easily damaged in the process. See the Michael Palin celebrity doll photos to see what the body of the doll would look like. 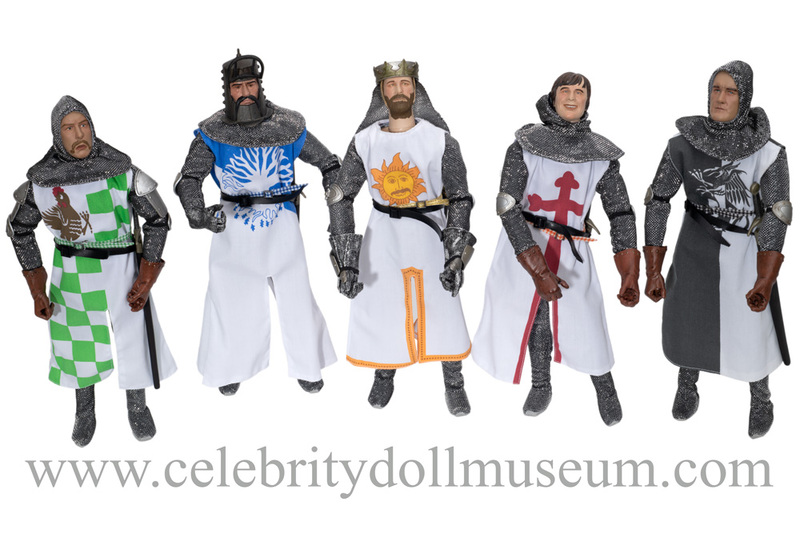 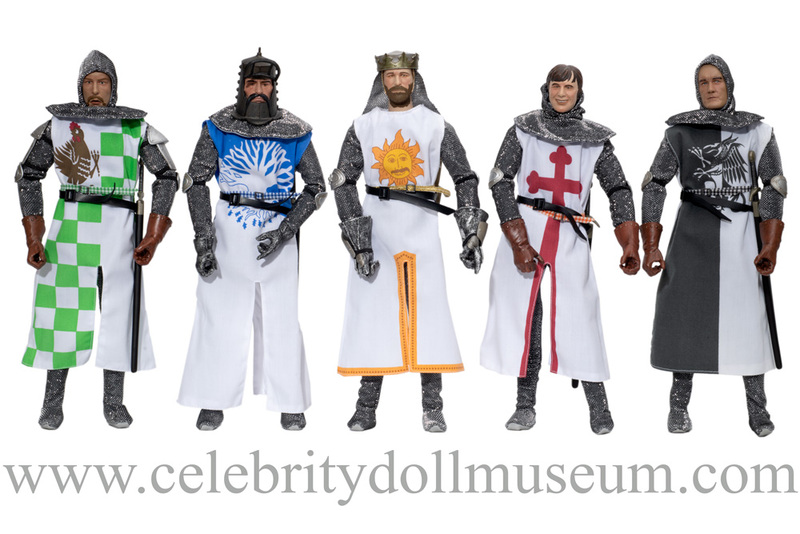 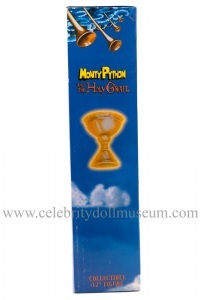 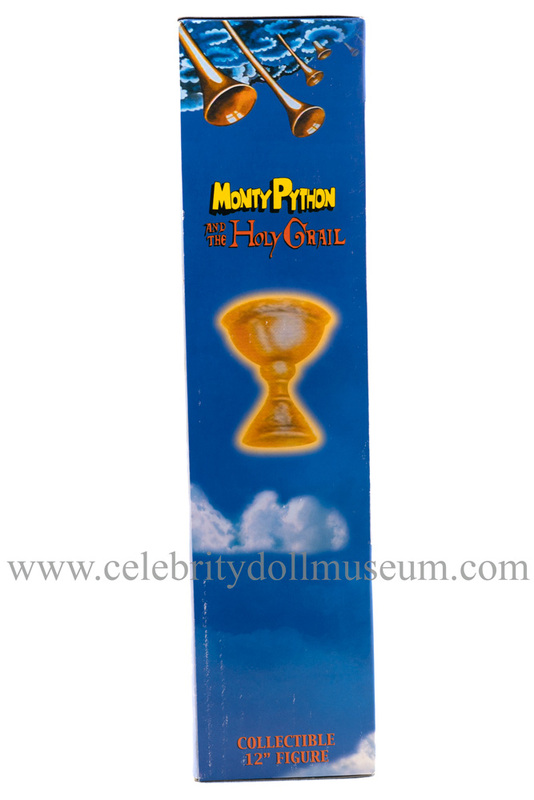 See the rest of the Monty Python of the Holy Grail action figures in the museum collection with this link.